Personalized products make great gifts for your sports fan or promotional items for your next event. We carry a variety of items that can be personalized. Choose from several different methods. 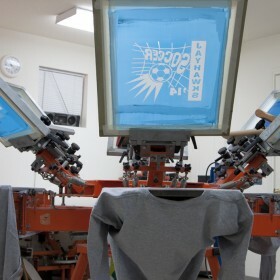 Embroidery, Dye Sublimation, Screen Printing, Heat Transfers and sports film to add names and numbers on player uniforms. Custom cups, banners, hats, key chains, window decals, cozies and much more. 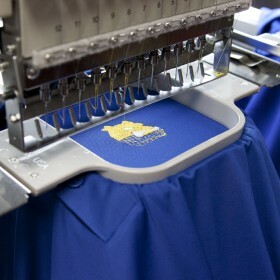 We embroider logos and names on a variety of apparel items. 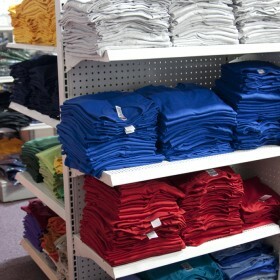 This process dyes your design directly on your shirt for a soft feel. 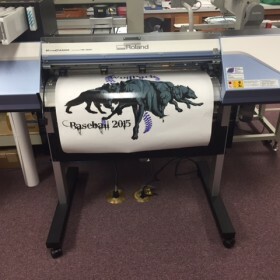 Custom designed and printed for your event, team or camp. 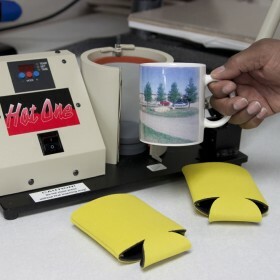 Create unique gifts or favors with custom mug or koozie printing. 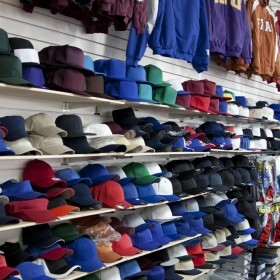 We carry a variety of hats ready to embroider with your logo. 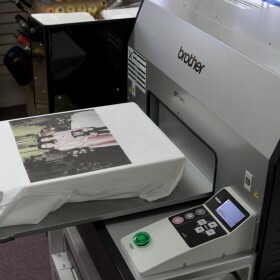 Personalized shirts available in a variety of colors and vinyl options.